You are currently browsing the category archive for the ‘Film Criticism’ category. I was recently asked by the BBC to comment on whether Avatar would herald in a new revolutionary kind of cinema, and whether its CGI and 3D effects meant that it would be far more immersive and spectacular than anything we’d ever seen before. It’s a shame they asked me before the film had actually been released. On the radio I warned: ‘Don’t believe the hype’ and that turned out to be pretty much the case, except I wasn’t prepared for how bored I would be. Here’s the real problem with 3D. The 3D plane that detaches itself from the screen and heads towards you is itself 2-dimensional, creating an effect that is explicitly artificial. Yet as the 3D effects continue our eyes adjust and we no longer notice it, as was the case in Coraline, Up and Avatar. 3D has to draw attention to itself to be noticed but by doing so distracts you from the film itself. 3D cinema breaks the primal illusion of cinema, that a flat image can appear to have depth. 3D suits its status as a novelty for good reason. It’s 2D cinema that’s the truly immersive experience. Below I reprint the review of Vertigo published in the influential British journal Sight and Sound upon its original release in 1958, but first a brief introduction. I am very interested in how the reception of films change over time, and how their initial reception relates to their standing today. One of the single most interesting cases is Vertigo (1958), a film that has become embedded in the consciousness of serious filmgoers. By the time the film was released in 1958 (1959 in Britain) Hitchcock was the most high-profile Hollywood director of them all. No doubt this was galvanised by his appearance on television as host of Alfred Hitchcock Presents (1955-61) in which Hitchcock was cleverly cementing a clearly-defined screen persona – the slow drawl, the black suit, the sense of humour, the portly figure, and the famous profile. 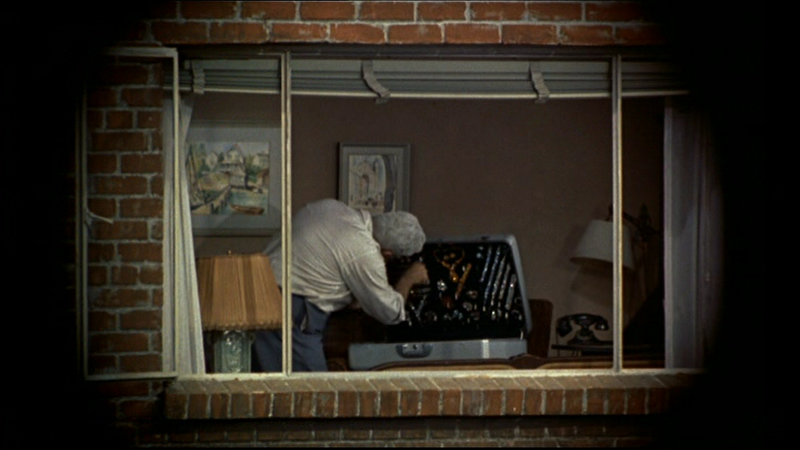 It was Hitchcock himself who had transformed his profile into a neat logo, which then went on to open every episode of his TV show. Hitchcock had become an unlikely but powerful brand. The 1950s saw key changes in how films were written about. Influenced by the politique des auteurs promoted by the French critics of Cahiers du Cinéma, British film critics of Sight and Sound focused more on the role of the director and the director’s responsibility for the film as a whole, then they ever had before. The combination of this shift in film criticism and the strong Hitchcock brand meant that Hitchcock’s role as an auteur was indisputable. In the review below Houston talks of a ‘typical Hitchcock joke’, for instance. Indeed Hitchcock is seen as perhaps the ultimate auteur: the precise visual style of his films suggest to the viewer that he knew what he wanted and achieved it. The controlled movement and pacing of his visuals suggest control behind the camera. So when Vertigo was released it was clearly seen as another ‘Hitchcock film’. At first glance his films of the 1950s were clearly Hollywood products, as was the case with the glossy star vehicle The Man Who Knew Too Much (1956) with James Stewart and Doris Day, or To Catch a Thief (1955) with Cary Grant and Grace Kelly. He made a couple of grittier movies in the 1950s, notably I Confess (1953) and The Wrong Man (1956), which had the feel of film noir and neo-realism, but Vertigo was clearly aligned with his bigger releases: vivid colour, Vistavision, and a star name in James Stewart. 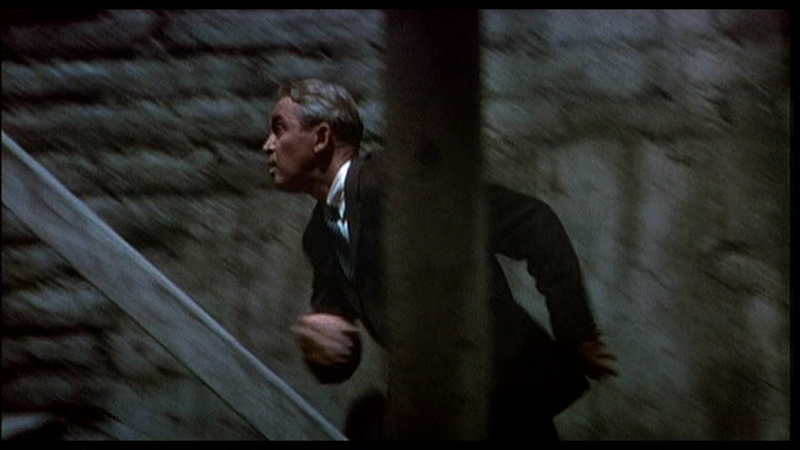 But again Hitchcock seems to smuggle dark themes into these studio movies, with Vertigo being a particularly bleak emotional journey concerned with loss and obsession. Today the film is revered by critics and film lovers, and during the last Sight & Sound Top Ten Poll in 2002 the film almost beat Citizen Kane to the number one spot – it was only 6 votes away. The fact that Vertigo, along with Rope (1948), Rear Window (1954), The Trouble with Harry (1955), and The Man Who Knew Too Much (1956) were quickly removed from circulation only to be seen again in the 1980s may have contributed to their appeal when re-evaluated (pirate black and white copies circulated for those desperate to see them during that dark age). Below is the full review that was published in the Spring 1959 issue of Sight and Sound, written by Penelope Houston, which offers an interesting perspective on how the film was received on initial release. She believes that the film suffers from a plot of ‘egg-shell thinness’ and that one of its key problems is that of pacing: ‘this time he is repeating himself in slow motion’. She does not seem to have sensed the repressed passion that drives as an undercurrent throughout the film. 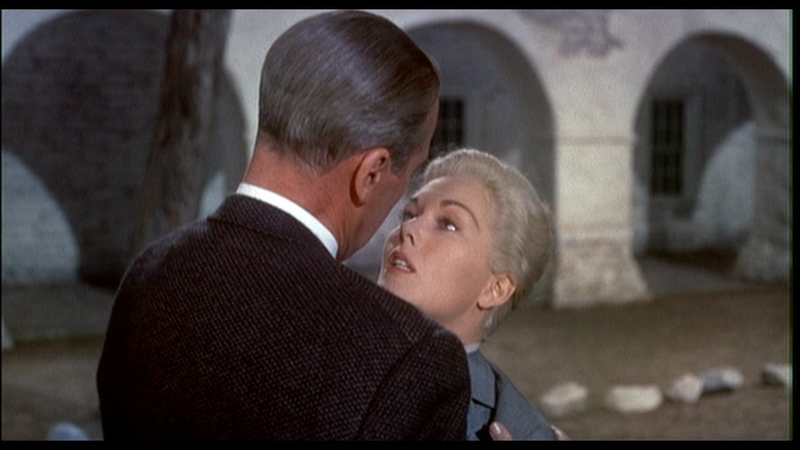 This may be due to the fact that Vertigo is ultimately defined by its repeated viewing. The first viewing is only an introduction, but it is in the re-watching that the film starts to take hold and become an obsession. Please let me know your thoughts on the review and leave a comment. Penelope Houston, ‘Vertigo’, Sight and Sound, Spring 1959, p.319. VERTIGO (Paramount) finds Hitchcock toying weightily with a thriller by Pierre Boileau and Thomas Narcejac, authors of Les Diaboliques. As with their earlier novel, the mystery is a question not of who done it but of whether it was really done at all–in this case, how can a girl who has fallen spectacularly to her death from a church tower reappear a few months later in the streets of San Francisco, and is she in fact the same girl? This question of identity, central to the novel, is disposed of by Hitchcock in a brisk and curiously timed flashback, leaving only the secondary problem of how the hero, a detective who first trails the girl, then becomes obsessed by his memories of her, will react to discovering the truth. But in a story of this kind, a sleigh-of-hand affair built on deception and misdirection, mystification counts for everything; to introduce questions of motivation, to suggest that the people involved in this murder game are real, is to risk cracking a plot structure of egg-shell thinness. Only speed, finally, could sustain the illusion that the plot hangs together–and Hitchcock has never made a thriller more stately and deliberate in technique. Last weekend The Times offered us their version of the 100 Films of All-Time. While it may have outraged certain readers it also brought up the question of how useful these lists are, and whether they’re helpful or destructive for the reputation of certain films. As their chief critic James Christopher’s introduction emphasised, the Times critics did not want to ‘rearrange the furniture as other lists do’. Instead they have come up with, as Christopher describes it, a ‘far fresher and younger’ list. In other words they are not afraid to throw out established classics in exchange for very recent films. Christopher proudly boasts about their omission of Citizen Kane. Rather than being a refreshing and bold move, this comes across more as a shallow trick to bluntly signify how this list differs from all others. So what are these lists for? Christopher states that the point is to ‘stimulate argument’, and so these omissions and submissions are clearly there to provoke reactions from outraged readers. A quick look at the list’s online message board finds a whole list of favourite movies and established classics being waved about in light of their omission: The Third Man, Shane, Lawrence of Arabia (I am not surprised to find no mention of Chaplin in the list). Many have also pointed out that Lee Van Cleef did not play Liberty Valance. On the one hand these lists could be helpful to viewers as a shorthand as to what to watch next, and indeed many a great discovery could be made by working through 100-lists. But lists are also interesting for what they say about the popularity of certain films, and how film history is considered at that particular moment. The earliest film on this list is Metropolis (1927) which stands alone in representing the entire silent cinema (wouldn’t it be great to see some 1910s movies make one of these lists?). The only films from the 1930s are Duck Soup (1933), The Wizard of Oz (1939) and Gone With the Wind (1939). 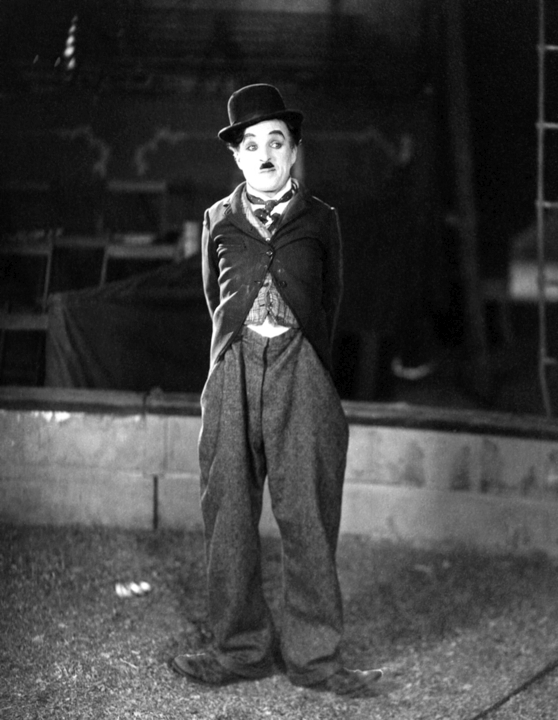 Films like Metropolis and Duck Soup have come to represent large periods of film history and discerning film viewers know that these periods are rich with many equal titles. In many ways I would choose another film directed by Fritz Lang over Metropolis, perhaps Spione (1928), if only because with its exciting spy narrative would be far more accessible to casual viewers than the complex and brooding Metropolis. So in many ways these lists fail to promote classic cinema. While it omits Citizen Kane so as to appear forward-thinking, it repeats Metropolis (arguably the most famous silent film) and fails to probe into the earlier decades of cinema. These singular titles are journalistic shorthand for certain decades, and serve to reaffirm a version of film history that goes uncontested. Casablanca is the greatest romantic thriller yet painted on screen. No one could accuse Curtiz of minting high art, but does that honestly matter? Precious space for insightful film criticism is often wasted on hyperbole. In this case it is a statement of fact that the film is ‘the greatest romantic thriller’ of all time, though ultimately how helpful is that statement? It serves to ephasise the film as standing alone (a point which I’ll come to in a moment) and ultimately is unhelpful to an understanding of Casablanca. Of course it is also a wild opinion that I would argue, on the evidence of the list itself, does not actually take many other films into consideration. 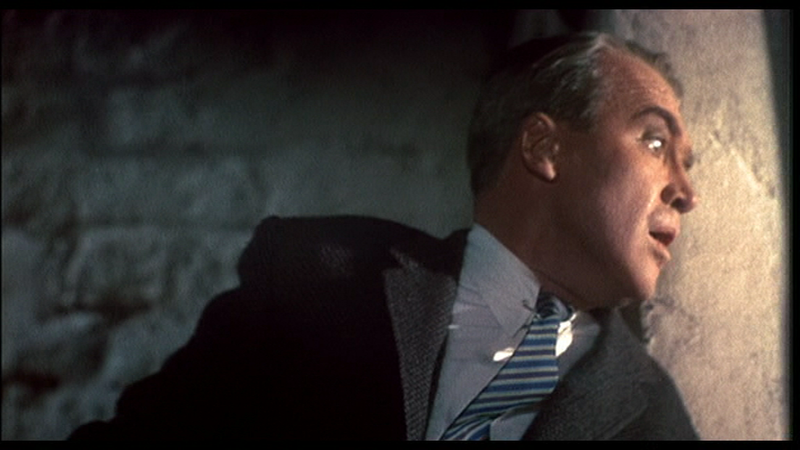 I perhaps shouldn’t even point out that films are not actually painted at all (yes, even with light). But here Christopher seems to be defensive, apologetic and detrimental to the film itself. By emphasising Casablanca as being ‘shameless entertainment’ rather than ‘high art’, Christopher intends to proudly champion the film as a product of popular culture. But this conversely suggests that Casablanca sits outside of the realm of ‘art’. Without going into a broad debate this hints at an outmoded idea of what kinds of cinema can be construed as ‘art’, emphasised by Christopher’s pointing specifically to director Michael Curtiz: ‘No one could accuse Curtiz of minting high art’. This phrase suggests two points: that Christopher is holding Curtiz responsible for Casablanca, and in using the word ‘Curtiz’ is actually referring to the visual style of the film. This is very common practice in contemporary film criticism and journalism. It has become an absolute reflex to refer to a director as solely responsible for the film as a whole (i.e. Curtiz’s Casablanca, Hitchcock’s Vertigo). The director’s role has also solely been reduced to that of visual style. Here Christopher is using Curtiz’s name to refer to the film’s visual style: ‘No one could accuse Curtiz of minting high art [through the film’s visual style]’. 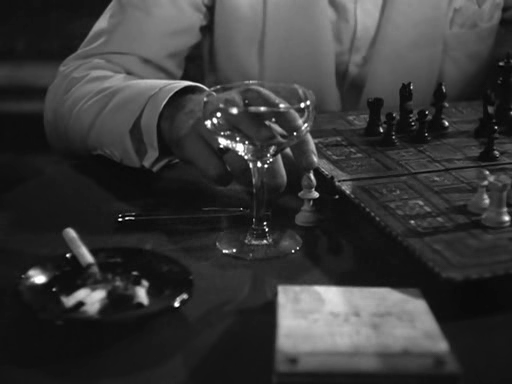 The visual style of Casablanca is a classical one. Watching other Hollywood films of the period and you will see a similar style – establishing shots, two-shots, medium close-ups, shot/reverse-shot. The editing works stealthily and follows a clear logic (a man leaves one room, cut to the next room). Wild shots and jarring editing are rare, and this all works to make the machinations of the movie invisible to the viewer, to never remind them that they are watching a movie. Some see this as an anonymous style, and some confuse it as being uninteresting work on the director’s part. Taking this into account, Christopher is undermining the film here by suggesting that you cannot accuse Curtiz’s input (in other words the film’s visual style) of taking cues from anything as sophisticated as ‘high art’. In fact the classical Hollywood style is an incredibly sophisticated visual system, of which Casablanca is a fine example. Its visual style is particularly economic, taut and sensitive in the telling of the film’s complex story. Lists tend to make their films appear scattered, disjointed and disconnected from each other. They are seemingly to be watched alone, in isolation, and to be judged solely on the experience of watching them today. ‘Are they still “good”? Can I relate to this in the 21st Century? How does this old film offer similar experiences to new ones?’ The one problem with this method is that we may not be equipped with the context to understand a film from the past. One of the great pleasures of watching classic cinema stems from viewing films in relation to each other. This allows the interrelated films themselves to provide part of the context required for a closer understanding of them. Perhaps a more equal list would be 100 films selected from each of 100 years, forcing a selection from eras that are usually neglected. What do you think about Top 100 Films, and this list in particular? Do you find them useful and if so how do you use them? [1.] James Christopher, ‘Take your seats’ in ‘The Times The Top 100 Films of All Time’, Saturday 26th April 2008, p.3. [2.] I do find it strange when films receive either unanimously dreadful reviews as well as unanimously favourable ones; in both cases it can’t help but affect the reader’s/viewer’s perception of the film. [3.] James Christopher, ‘Casablanca’, in ‘The Times The Top 100 Films of All Time’, Saturday 26th April 2008, p.33.